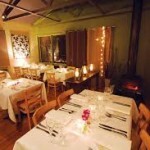 Mt Dandenong, Olinda and Sassafras have some great restaurants and cafes for lunch and dinner. Whatever your occasion you will find something perfect. 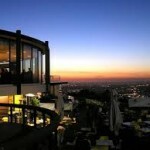 We have listed some of our favourites with a description of the food and ambience. All restaurant menus will be in your suite. We recommend booking in advance on weekends and public holidays. There is also a Taxi Service on the mountain if you fancy a drink. 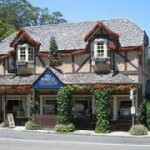 The Wild Oak Restaurant and Wine Bar is situated in picturesque Olinda, on top of Mt Dandenong in the heart of the Dandenong Ranges, a 50 min scenic drive from Melbourne. The owner, award winning chef Ben Higgs, leads a passionate and dedicated team to provide diners with a truly unique culinary experience. Ben is passionate about the quality of fresh local produce. He believes that these high quality ingredients enable Wild Oak to create a unique and exquisite culinary experience. Specialising in modern Australian cuisine with strong classical French accents, Ben strives to use localized seasonal produce and sustainable food primarily from the rich soils of the neighbouring Yarra Valley and the Ranges. Expect foods that are flavour driven that excite the palate. Foods that are complemented by many hard to find wines and vintages from local boutique vineyards. Relax in the picturesque surroundings with good food and wine and be served by the casual, attentive and educated young team at Wild Oak. In Winter, dinner in front of our large open fire place is a popular choice, but when the sun appears alfresco dining in our new pavillion area or a window seat inside is the place to be. Breakfast and lunch is always a casual affair, at night, SkyHigh Bistro transforms into a sophisticated and intimate restaurant and is a great venue for a celebration. The tea house is open for breakfast, lunch, and afternoon tea. Yoga, meditation & wellness classes are also available in the multi-function room (Please refer to our website for class time). 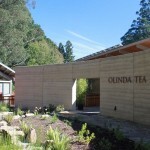 Situated on a picturesque sloping site on Olinda-Monbulk road, the Olinda Tea House is sit on the corner of 17 acre wholesale flower & foliage farm. The state-of-the-art building combines a glazed pavilion aesthetic with floating butterfly roof and a rich textural composition of natural materials. Owner’s retirement project, combining the things they love. Nature, wellness, and good food made from quality ingredients. On a warm Summer’s day, the bi fold glass door opens up and brings the outdoor indoors. On a cold Winter’s day, it’s cosy & warm on the inside! Come in and have a cup of tea by the fire, whilst you sit back and enjoy the scenery. 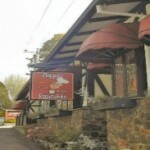 Flippin’ Pancakes is an iconic Melbourne restaurant that combines relaxed hillside charm with exceptional hospitality, alongside some unique dishes which people can enjoy in a peaceful, nice and relaxing environment. Our pancake menu is famous throughout the hills for both savoury and sweet options. However our full blackboard a-la-carte menu offers a huge variety of mouthwatering dishes, ranging from a tender and juicy Eye Fillet to a delicious Twice Cooked Duck. 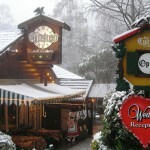 Open nearly every day of the year, decorated with the charm of a Bavarian chalet, The Cuckoo offers a warm family atmosphere with quality entertainment. Within easy reach of Melbourne (50 minutes), The Cuckoo is fully licensed and offers an abundance of food with a delicious smorgasbord prepared by first class international chefs. The amazing range of cakes and pastries are made fresh daily. The Cuckoo is a 400 seat chalet restaurant welcoming individuals, families, charter groups and inbound tourists. Enjoy live entertainment daily and our famous Floor Show including the slap dance and yodeling equal to any in Switzerland or Bavaria. Always fun, always welcoming, with first class friendly service! 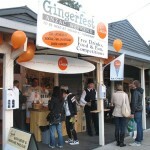 Cream at Sassafras focuses on regional and boutique Australian producers. Top quality and unique food items for discerning taste buds. Made with care and passion by like minded people. These items are the perfect pantry essentials for home or as gifts for friends and family.